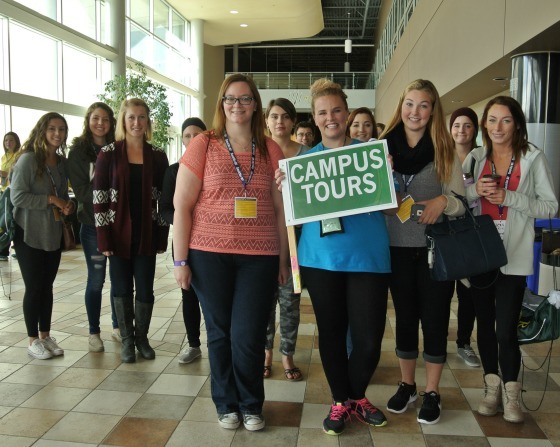 By Dale Johnson Posted: September 2, 2017 8:00 a.m.
New students at the University of Regina can find out all that the institution offers during Orientation Day, on Tuesday, September 5 – the day before classes begin. "Making the transition to university can be a challenge for our students – academically, socially, and even culturally – so orientation is always an important way to introduce and welcome them to our campus," says President and Vice-Chancellor Vianne Timmons. As well as learning about various programs, services and traditions, Orientation Day is an opportunity to meet with faculty, staff and other students. “A first impression is always a lasting one, and if we can help our students have a positive academic experience on campus in their first few weeks, they are far more likely to be successful in their studies in the coming years," Timmons adds. The day begins with an official welcome at 9:15 a.m. in the main gym. Then there will be breakout sessions, and special events for domestic students, international students, students at the First Nations University of Canada, and mature students. The day wraps up with a movie night. Orientation Day kicks off Welcome Week. Classes begin on Wednesday, September 6, and there will be lots of other events during the week, including yoga classes on the Green, a smudging ceremony, trivia and karaoke at the Owl, a casino night, a Student Centre Fair, and the Queen City Marathon Night Owl five kilometre run.